Avail discount code and coupons of health care and test packages. Yes, this is absolutely right because a healthy man is a wise man. Now you could more care of your body with 1mg Labs. Get 35% off on lab test and to avail more 50% discount so use code GOODHEALTH. It gives the full package of 60 tests. So, what are you waiting for? Book your appointment today. Pharmeasy Rupay Offer: Get Flat 30% discount on online medicine orders. Offer valid for only for new users. Get 25% OFF and 10% cashback. Special packages include diabetes screening, vitamin profile, and cardiac screening. Book now to get the benefit. Buy medicines online and get 25% OFF on your first purchase. Use the given Medlife coupon code to avail the discount. Avail the offer and make savings!! Dealsshutter offers cashback of upto Rs. 270, valid for all existing and new users. Paytm Cash is applicable to the successful completion of 2 transactions with a minimum order value of Rs 500 each. Health is of paramount importance, but most of the time women become very careless regarding their health, so 1mglabs offer special health test package for women. Book your appointment worth Rs. 3000 now at Rs. 1620. Use the coupon code to get more offers. This health package is for patients who are suffering from fever. Fever Panel 1 including 35 tests at only Rs. 500. No need for the coupon code to get the offer. Please follow the landing page to check more details on how to book the appointment. Use code LABS35, and get instant 40% off + 10% 1mg cashback. Offer valid for limited time period. Activate the link and avail the offer now. 1mg labs offer you a complete full body check with 105 tests at only Rs. 1392. This offer comes with 77% discount. To avail extra discount use code LABS35. 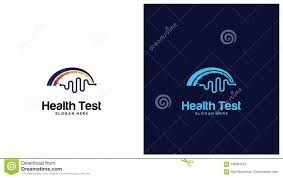 Get 50% OFF on lab test for health checkups. Follow the link, and you just need to upload the perception given by the doctor. Quick and 100% accurate result report.